Living with a medical disability can be costly; fortunately the province of Nova Scotia offers services and programs to ease the monetary burden on the disabled. Disability tax credits are a non-refundable credit that taxpayers who have disabilities can use to lessen the amount of income tax that they will have to pay. Who is Eligible for Disability Tax Credit? You have severe impairment in mental of physical functions. Your impairment is prolonged; it has lasted or is expected to last for a period of 12 consecutive months. Live in the province of Nova Scotia. Be a permanent resident of Canada of a Canadian Citizen. Have paid taxes in the past, or have a spouse or primary care giver that has paid taxes in the past. If you qualify, you may be eligible to receive disability tax credits in the form of non-refundable tax credits that reduce federal and provincial income taxes up to the amount of $7,546. If you are under 18 years of age and qualify for disability tax credits you may be able to claim up to an additional $4,402. Please not, however, that this supplement can be reduced if someone claims attendant care expenses or child care expenses for you. The amount will also be reduced if you claim attendant care expenses on yourself. The dependent must be your spouse, common-law partner, child, niece, nephew, brother, sister, aunt, uncle, parent, grandparent, or grandchild. 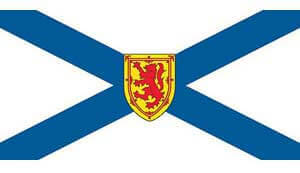 You and your dependent must live in the province of Nova Scotia. You and your dependent must be Canadian Citizens or permanent residents. The dependent must be 18 years of age or older. You claimed an amount for your dependent or could have done so. The dependent must be your spouse, common-law partner, child, niece, nephew, brother, sister, aunt, uncle, parent, grandparent, or grandchild, and you claimed an amount for that dependent. The dependent had been 18 years old or older in 2012. The dependent has no income. Nova Scotia offers a great deal of money to those that it deems disabled, so if you think you qualify then be sure to do so as there is no cost to applying. The money provided by disability tax credits is enough to ensure that persons with disabilities and those that may need to support them can live comfortable, normal lives without needing to worry about the burden that their disability puts on their earning power. We can help you receive the most out of your Disability Tax Credit . Call us today!